"There is what I consider to be a significant number of employers that are saying they wouldn’t hire an employee that uses marijuana," said Evren Esen, SHRM’s director of survey programs. 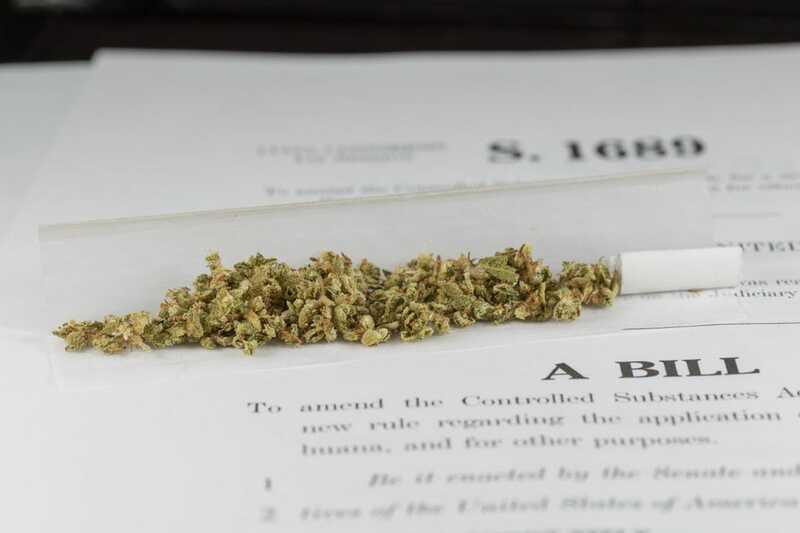 With marijuana legalization spreading state-by-state and the U.S. government backing away from aggressive enforcement of federal laws, employers have begun to reconsider their substance abuse policies. They’re making them tougher. In a first-of-its-kind survey, the Society of Human Resource Management asked 623 HR managers in states where marijuana is legal about their drug policies. Unsurprisingly, getting stoned at work is largely frowned upon, SHRM found, regardless of legality. It turns out a large chunk of workplaces also won’t hire employees who smoke on their own time. Marijuana is legal for recreational use in the nation’s capital and four states, including Colorado. In almost 20 others, it’s allowed for medicinal purposes. More than half of the HR managers surveyed said they have policies, or plan to implement them, restricting the employment of marijuana users. About 38 percent said they will flat-out reject users even if they claim medical reasons. Six percent said their policy will exclude only those who partake for fun. “There is what I consider to be a significant number of employers that are saying they wouldn’t hire an employee that uses marijuana,” said Evren Esen, SHRM’s director of survey programs. Companies can maintain stricter policies in states where pot is legal because federal law, which governs most workplace rules, still considers marijuana to be a controlled substance. Over the summer, the Colorado Supreme Court said it was legal to fire an employee for legally smoking medicinal marijuana while not at work. That said, what HR managers proclaim and what they do don’t always match up. Fewer employers are drug testing now than five years ago, SHRM numbers show. A 2011 survey of 632 HR professionals found that 55 percent were testing all potential employees. A little less than half of those surveyed in the new study said their organization does pre-employment drug testing for all candidates, which just about matches testing practices nationwide. Denver-based Mountain States Employers Council reported that only one in five companies in Colorado planned to make drug-testing more stringent after marijuana legalization last year. Employers are most likely to test current employees if there’s an accident or a reason to think they’re coming to work high, the survey found. “Some companies have stated more clearly that they reserve the right to test, letting employees know that it’s not OK to come to work under the influence,” said Lara J. Makinen, an HR coordinator at the Denver-based Atkins, a design and engineering consulting firm. In states where weed is legal for recreational use, 39 percent of those surveyed have policies that single out marijuana use. Employers might make more drastic changes if pot use were to start interfering with work life. So far, apart from one local news story, there haven’t been reports of hordes coming to work stoned. That jibes with SHRM’s findings. Only 21 percent of employers reported more than three incidents of employees violating policy regarding marijuana use over the last year.